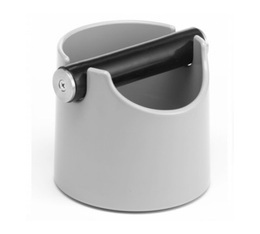 The Knock Box (also called a coffee knock out drawer or grounds container) is an essential, highly useful tool to get rid of the used coffee grounds once you have made your espresso. This hygienic, practical accessory comes in all shapes and sizes. You will find knockboxes to place on your counter, drawers with a shot bar and even built-in ones. There is no doubt these stylish objects will become your espresso machine's or percolator's best friend! Find on MaxiCoffee a great range of knockboxes.